Old West Wyatt Earp Replica Revolver Box Set. 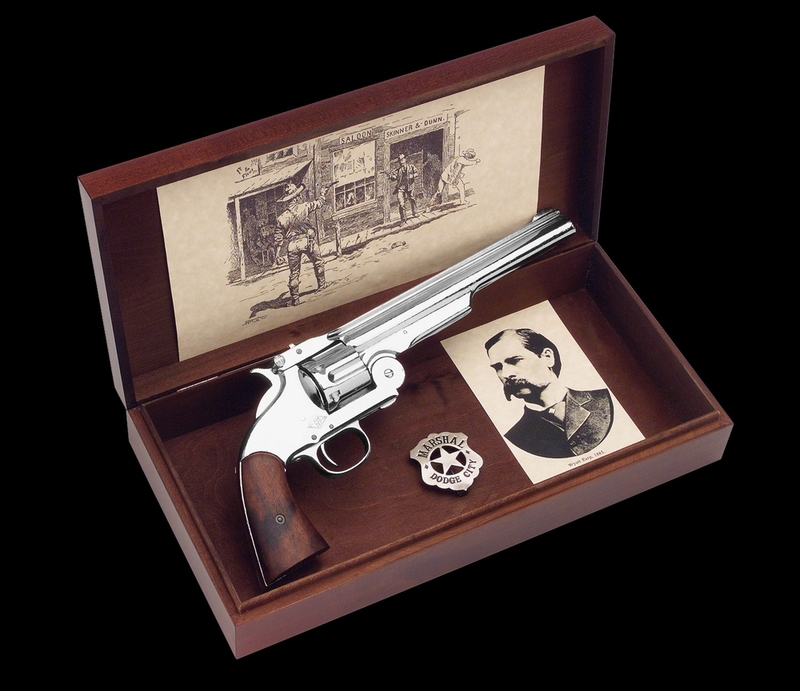 A gunfight in the street comes alive with this Wyatt Earp Commemorative Set. The 1869 nickel plated Schofield was one of Wyatt's favorite side-arms. This set features a reproduction print of a photo of Wyatt and a replica Dodge City Marshall badge in a finely crafted hand made wood box. Box measures: 14.5" x 6.5"